Mushrooms are an exceptionally nutrient-dense food that are low in fat and satisfy your appetite quicker and encourage you to eat less during the day. They are an exceptional natural multi-vitamin as they are chock full of minerals and vitamins. The humble mushroom is a power house superfood and definitely one to add or introduce to your menu. 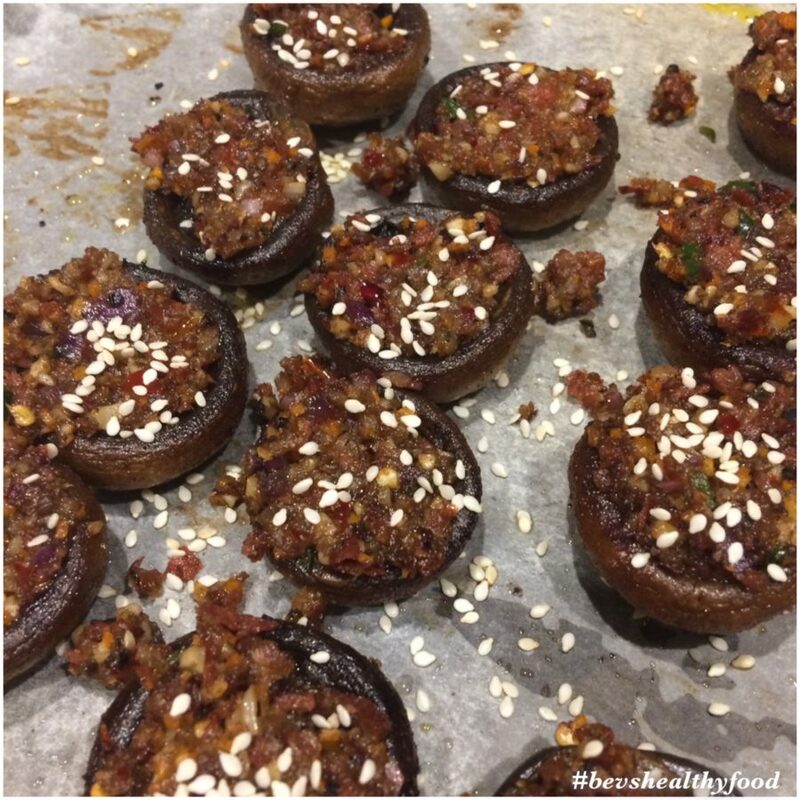 These Stuffed Mushrooms are a family favourite! They are great as a side dish or as finger food. Remove the stalks from the mushrooms and set the mushrooms aside. Finely chop the mushroom stalks, onion, garlic, capsicum, chilli & bacon. You can do this using a knife or pulse in a food processor. Set aside. In a non-stick pan over med-high heat add butter (if using) & coconut oil, sauté mushrooms top side up first for 2 mins and then turn over and cook until golden brown. Remove mushrooms from the pan and place on an oven tray lined with baking paper. Add the stuffing mix to the same pan, season with salt and pepper and sauté until brown about 10 mins. 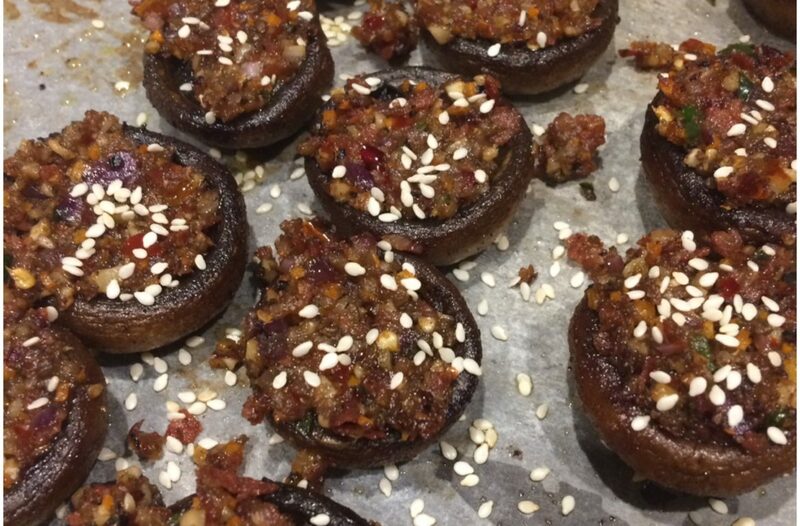 Fill the mushrooms with the mix and then sprinkle with sesame seeds. Place into the preheated oven and bake for 10 mins until crispy on top. I love hearing from you, leave me a comment and let me know if you make them!